We know very little about the upcoming iterations of the Xbox console apart from the fact that there will be a traditional as well as a cloud streaming-only version. A rumor is now doing the rounds that the streaming-only SKU will be powered by a semi-custom AMD Picasso APU. The exact specifications are still not available but this APU is expected to provide hardware accelerated deep learning for Project xCloud that allows for real-time AI predictions of player actions and thereby, helps in reducing latency while streaming. We've known for some time that AMD is developing a new APU for 2019 based on the Raven Ridge architecture codenamed Picasso. Apparently, it's not just laptop or desktop OEMs that are looking forward to the new SoC. It is being rumored that Microsoft would be implementing a semi-custom Picasso APU in its upcoming Xbox console, which is widely speculated to have a streaming-only SKU apart from a regular high-end version. This streaming-only SKU will run on Project xCloud, Microsoft's cloud game streaming platform that was revealed at E3 2018. The exact details of the custom APU itself are still unavailable at this point. The news comes courtesy of Wccftech quoting a source that leaked this information. 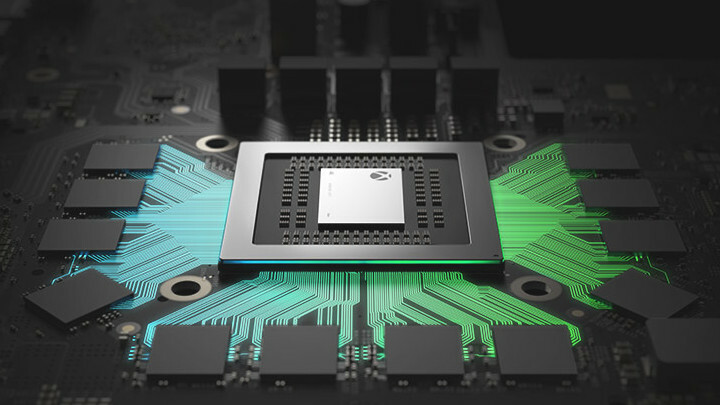 According to the source, the move to AMD Picasso will help Microsoft in keeping the console cost down and allow a much smaller form factor since both the CPU and GPU are on the same die. Although most of the game will be streamed via the cloud, the Picasso APU will help in local 'latency sensitive calculations' and in running local parts of the game called 'splices'. Project xCloud will leverage deep learning to 'stitch' splices locally and those in the cloud. Picasso, working in conjunction with the hardware in the datacenters, will help accelerate this deep learning. The source says that this hardware accelerated deep learning is being built on Project Brainwave — Microsoft's real-time AI platform. Deep learning is expected to improve over the course of time and soon, the system will be able to predict player actions to minimize latency. This SKU is expected to priced fairly low, possibly below US$200, and therefore, can attract many prospective console buyers who will ultimately help in improving the neural network. Microsoft will be continuously optimizing the entire pipeline to ensure that latency is minimized as much as possible.